A letter from Martha Berry to Bob Dickey, where she expresses her appreciation on reading his letter from her hospital bed. 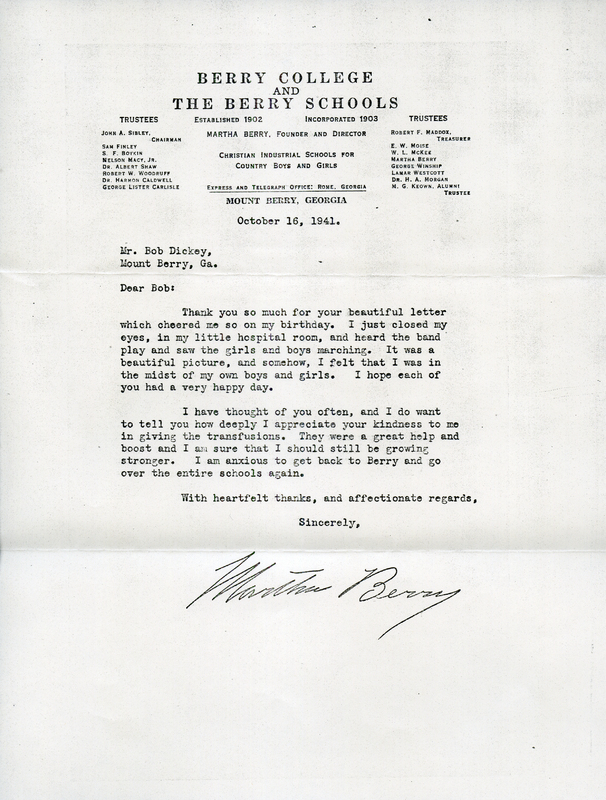 Miss Martha Berry, “Letter from Martha Berry to Bob Dickey.” Martha Berry Digital Archive. Eds. Schlitz, Stephanie A., Justin Karch, Jessica Hornbuckle, et al. Mount Berry: Berry College, 2016. accessed April 20, 2019, https://mbda.berry.edu/items/show/14692.